Although most people make attempts to maintain positive oral hygiene, it is not enough to keep your teeth healthy. It is important to work as a family and establish a routine that sticks throughout life. Here are some tips that will keep everyone’s smiles healthy and bright. Brushing and Flossing. Most people understand the importance of teeth brushing. However, they do not do it correctly. The American Dental Association explains that everyone must brush for two minutes at a time. Also, it is vital to use fluoride toothpaste. Fluoride is absorbed into your teeth’s enamel, which prevents decay. Flossing is essential as well. This removes bacteria and food that gets trapped between your teeth. Avoid Sugary Snacks. Although it is tempting to grab a snack in between meals, it is wise to avoid food that contains high amounts of sugar. Besides being bad for your health, it is bad for your teeth as well. As sugar builds, your saliva becomes acidic, and tooth decay is likely to begin. Snacking with nutritious food options and in moderation will help to keep your mouth healthy. If you have small children, it is recommended to limit their intake of fruit juices. These beverages are rich in natural sugars that can lead to decay as well. Visit You, Dentist. 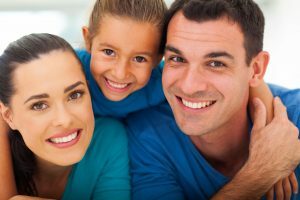 Your entire family should visit the dentist on a regular basis. Scheduling yearly checkups will help your dentist detect small problems before they become major. Also, you will receive a professional cleaning that removes plaque and tartar. Taking your children to the dentist from an early age will provide positive experiences that carry into adulthood. Dr. Dana Walters offers family care to his dental patients. He understands that when everyone follows a solid oral hygiene routine, problems are less likely to occur. To schedule appointments for you and your loved ones, call our office today. Endodontic Treatment (Root Canal Therapy)What Do Pumpkin Spice Latte’s Really Do To Your Teeth?